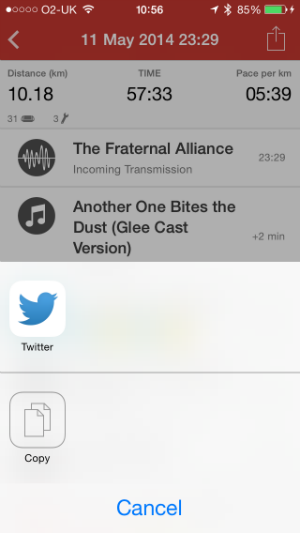 New Ways to Share in v3.1 iOS – Zombies, Run! In the latest version of Zombies, Run! 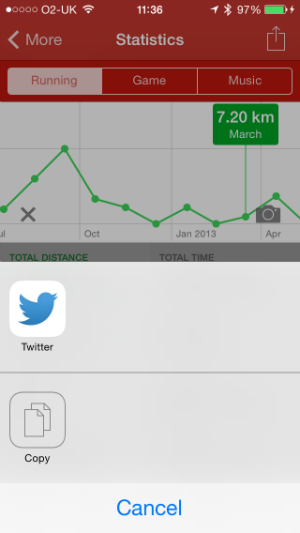 for iOS, we’ve made it much easier to share your stats, bases and run logs with the world. 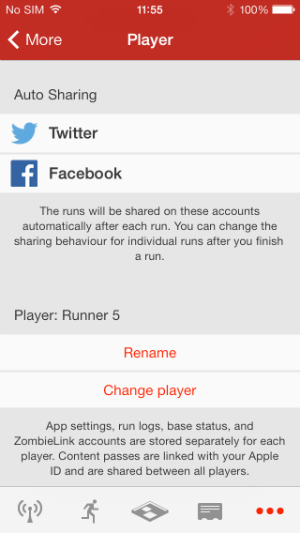 We’ve added automatic sharing of run logs straight from the app, as well as an updated stats bar on the front screen. Drag it along to see your top-line stats and then tap it to dive into the full statistics page. How handy! 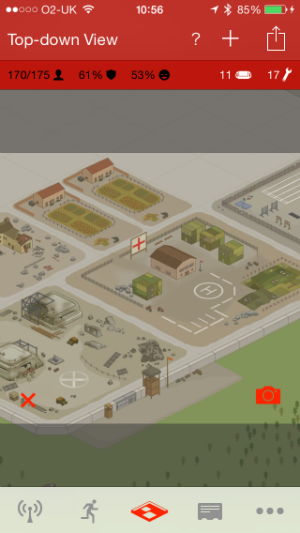 Sharing your base is easy: Just tap the share button in the top right hand corner and you’ll be given a camera overlay. Pinch and drag to position your base exactly how you want it, then press the camera button. Simple! If you’re curious about what your tweets will look like, take a peek at this real-world example. Likewise with your run logs and stats. Just tap that share button and choose whether you want to push it to Twitter or Facebook. To activate automatic posting of runs to Twitter or Facebook, head over to the Settings > Player page and scroll down until you see the options below. You may also notice that we’ve added an indicator on the Mission Complete screen, which will let you know whether you currently have autosharing for Twitter or Facebook enabled. 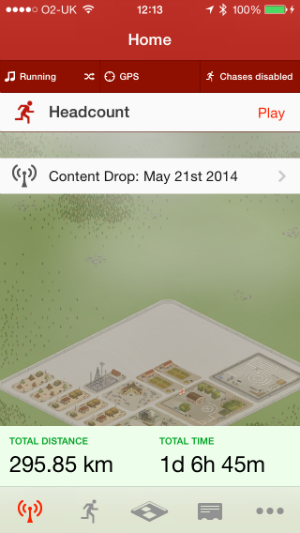 You’ll also be able to enable and disable them from here, in case you forgot to do so before you set out on your run! Next Post The Walk now on sale this week only!